Herb planters are ideal for smaller herb gardens. Well, that depends on your budget, time, space, and how much you want to lift. 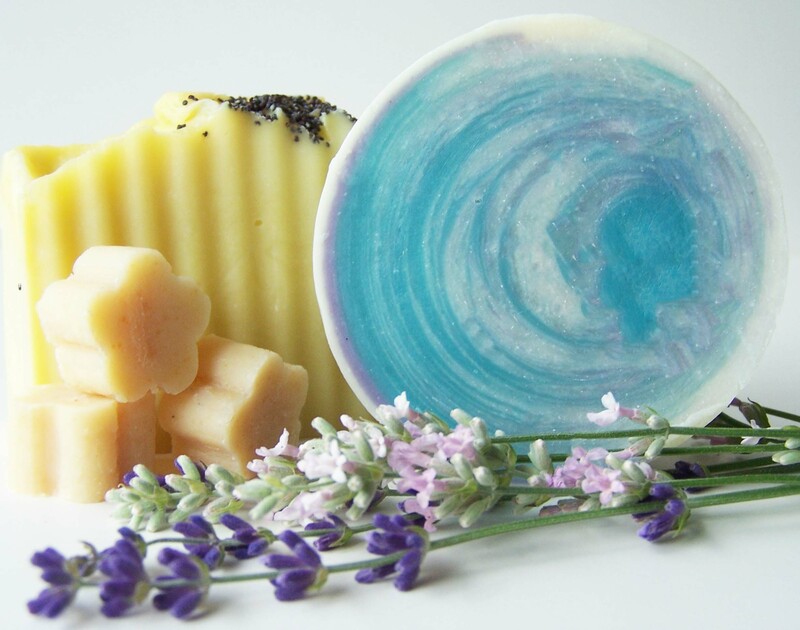 A grouping of at least three to five containers is ideal and a good start. 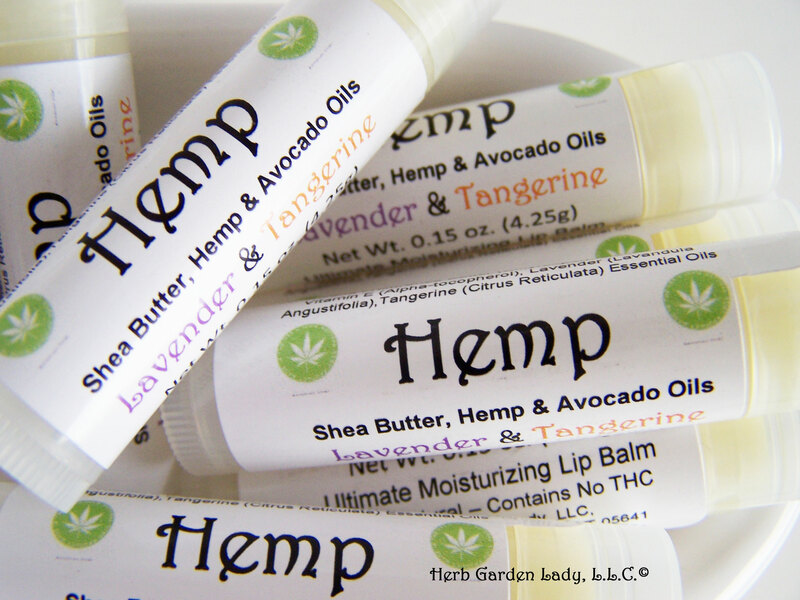 You can have a basic herb garden with just three containers. Plant the essential herbs. Get started. Then add and build your herb garden as you get more comfortable. 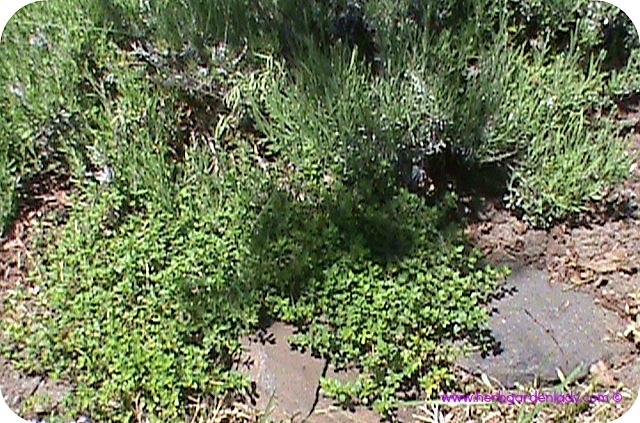 Thyme growing with lavender in my rock herb garden. Now this is when you need to know what you'd like to grow because some have long roots and some have shallow roots. Most creeping herbs have shallow roots such as thyme, bulbous plants such as onions and garlic need a medium planter. Basil has long roots and needs a bigger, taller planter. Wild strawberry, or oregano, thyme, lemon thyme, lavender thyme, and many other great tasting thyme's. Chives, onions, garlic, salad herbs such as pansy, lettuce, ,summer purslane, sage, winter puslane, sorrel, savory, nasturtiums, sweet woodruff, clary sage, parsley, sweet violets, lady's mantle, salad burnet, peppermint, spearmint, or mints. Basil, lemon basil, cilantro...coriander, dill, borage, marigolds, calendula, tarragon, bay, sweet marjoram, lemongrass, lovage, lavender, rosemary, tansy, yarrow, angelica, sweet cicley, bergamont, bugle, comfrey (10' taperoot), feverfew, foxglove, french dandelion, lungwort, bistort, marshmallow, rue, or lemon balm. Pot size is gauged by a number determining diameter and height. So, a 3 inch pot means the pot is 3 inches across and 3 1/2" in height. The same is true of a 4 inch pot, 4 inches across and 4 inches from top of the rim to the base. This is important to consider for your herb planter. 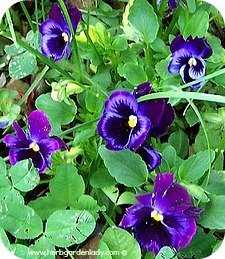 Sweet violets or pansies have medium length roots. 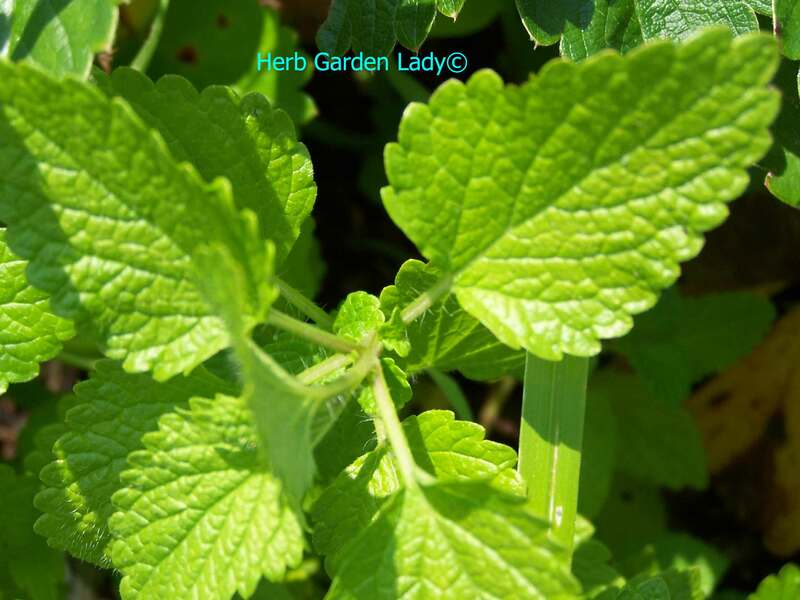 Melissa also known as lemon balm has long roots. At least a drainage hole or broken pottery and hanging baskets need a layer of gravel or perlite. Large pots need help with getting water to the lower depths. Insert into the plant container a tube with holes in it. Inexpensive tubing like plumbers PVC piping from your local lumber or hardware store is one example. Just drill a couple of holes so water can get to the roots. All may vary, but will your herb planter last many years? My container herb garden includes many pots, whiskey barrels, strawberry terracotta pots and a few plastic planters. Since terracotta can come in so many designs such as animals or simply the standard round variety. I have plenty of these. In driving around I've seen an old dolls bed about the size of 4' x 2'in a well-designed herb and flower garden. Chimney pots, sinks, an old child's or doll's bed frame, a watering can. Stone or a hand-made mason planter is a good choice if you don't plan on moving it much. Window boxes are ideal for group planting because so much can be squeezed into them. And if you want to set them on your windowsill this is another option. It's easier to line up what you want to plant. Thyme, basil, chervil, parsley, and mint. Although, mint has a mind of its own and likes to wander and it likes a lot of water. You might consider planting mint alone. 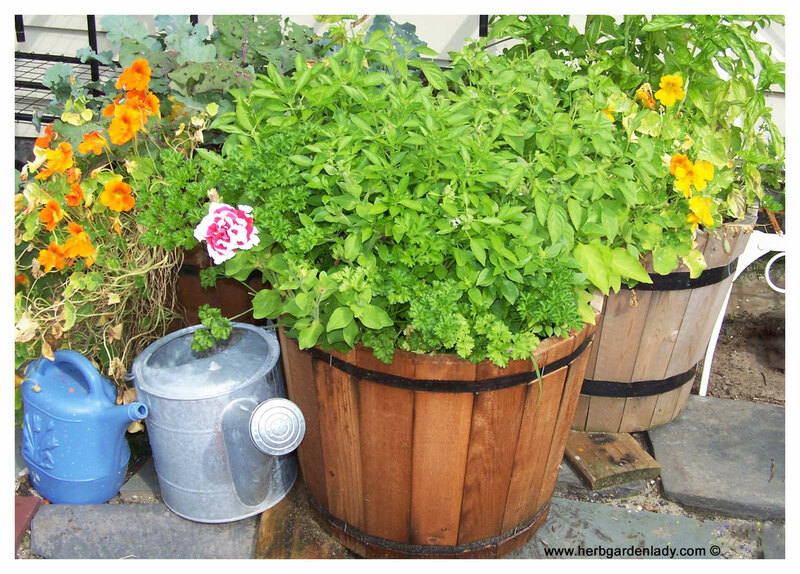 Is your herb planter easy to clean with a little bleach and water? How well can they be combined to save space when stored for next year's amazing container herb garden? These are the items to consider when the garden season is winding down. So, choose your herb planter to fit the needs of the herbs you're planting. They'll reward you with their bounty time and time again. What's Your Story or Experience in Growing Herbs?